Work behavior traits for groups A, C, and D are 90%, , , that’s essentially everyone in IT. Remember, it is managers, DBA’s, Desktop technicians, , , anyone in the IT organization from what I have seen with my research. Group B is the shy and introverted group of traits. 70% of us don’t want to discuss the issue, , , we just want you to “do your job“. 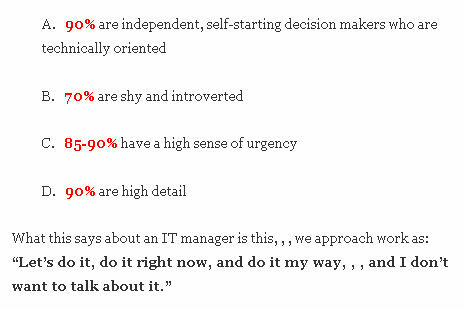 Roughly 7 out of 10 employees in your IT organization are “wired” this way. They have authoritative management styles in their approach to work. I’m “wired” this way, , , you are very likely “wired” this way. Roughly 7 out of 10 people in your organization are “wired” this way. People are resistant to change. If you do not explain it and convince them of some benefit to them, , , they quite often resist. Clients do not like having things forced upon them. 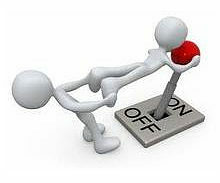 Independent people (like 90% of us in IT are) do not like to do things “your way”, , , we prefer to do it “our way”. Make one subtle change and you change your approach from “authoritative” to “persuasive”. Modify the part where you do not want to discuss the issue by explaining the reason for things and the benefits in doing things, , , and you become a persuasive manager versus an authoritative manager. This is a big deal and is a much more effective management approach in most situations. Let me explain the difference. In a military combat situation, , , you want split second decisions to be made and you want the troops to follow the commanding officer’s direction without flinching. In this situation, authoritative management styles work very effectively and are actually what you prefer to have. However, in a professional setting like your IT organization, persuasive managers are much more effective and have a stronger following with team members. One slight tweak makes you a much more effective IT manager. 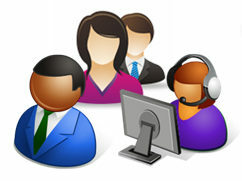 But don’t get me wrong, , , changing your communication approach at work will not be easy. Remember, your “DNA” is telling you that you probably aren’t a very good communicator and you don’t like to communicate with people outside your immediate network. In my personal situation, I intuitively made the change from authoritative to persuasive before I ever understood anything about work behavior. I believe I must have learned when I was in the US Marine Corps that you get a much better result from IT people when you explain things rather than simply give them orders. 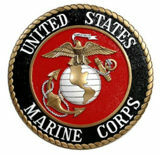 Now, in the Marine Corps you can just give an order and can expect your men to carry out the order. If they don’t they can go to jail, , , it’s a pretty simple deal. But, if you want the best results, , , your men need to understand why we are doing things and what’s in it for them, , , the benefit to them. Even things like going on a 3-mile run is something they need to understand, , , otherwise, they kick and moan about it and it’s not as good a result as you would like. I saw this dynamic work in my early years of management so over time my approach at work became more persuasive than authoritative, , , I modified my work behavior by communicating more and the results got better. Let me repeat, , , I actually modified my personality at work from a manager who tends to naturally want to just give orders and expect you to do the work and not ask questions to a manager who explains why we need to do these things. Changing your behavior at work does not change your basic personality. In reality, , , I’m still deep down that authoritative manager and would prefer to have no discussions, , , but I have learned that I get a much better result when we explain and convince the team why we need to do something and the benefits we will receive. So, , , I have the discussions. It takes time and energy but it’s worth the effort. At work, people see me as a more social and outgoing person than who I really am, , , I change my personality at work to do what is necessary to do a better job. Other things happen at work as well, , , I force myself to communicate. 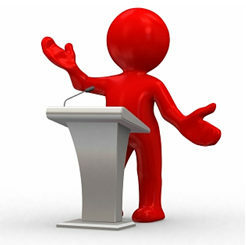 I force communication events with employees, clients, senior managers, , , even vendors. It’s not something I inherently like to do but I know stronger communication is necessary to get the job done, , , so once again, I modify my personality at work and force myself to communicate with others. This is why understanding the dynamics of work behavior can be so helpful in contributing to your success. You have to learn who you are and identify if your approach to work will be effective. If you are lost in the detail, , , you have to find a way to “get out of the technology weeds” and depend more upon your people. If you aren’t communicating effectively, , , put processes in place that force you to start communicating more with staff and clients. 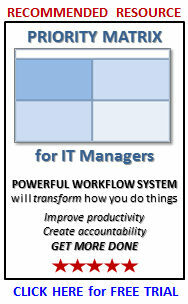 You can modify your work behavior approach and for many IT managers, you will need to if you want to be successful. How do you learn “who you are”? If you follow my work in the ITLever Blog, read my books, or attend one of my classes, , , you will discover that I define what you need to do to be successful and how to do it, , , and give you tools to help you make it happen. It’s your job to learn who you are and whether you have to modify your approach to do these things. 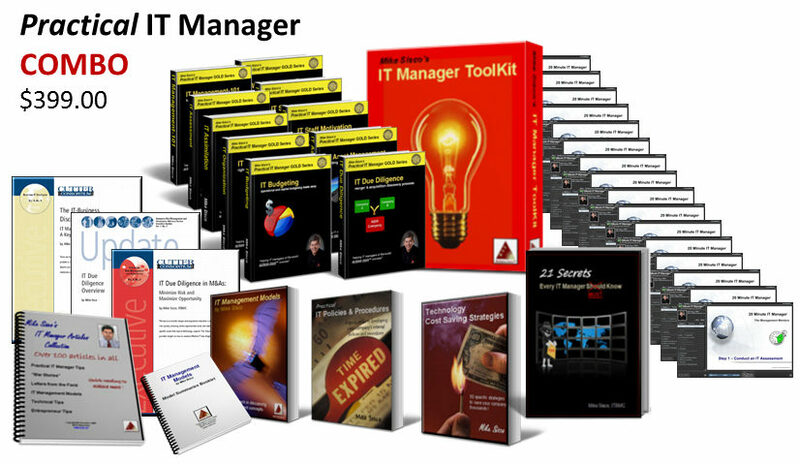 What you will also discover is that many of the processes and tools I use are specifically designed to overcome some of the work behavior tendencies that can cause an IT manager problems. For example, let’s take the “lower desire to communicate issue” inherent in an introverted and shy person. I know I’m one of these people so two of the communication processes I initiate in a company is to hold monthly IT staff meetings and monthly client status meetings. We schedule them and it forces me to prepare for the meetings and to communicate with clients and employees, , , otherwise, I probably will not get around to it. Learn about the dynamics of your personality and work behavior tendencies. It will help you become a better manager. Take it a step further and learn about your individual staff’s tendencies, , , it will help you manage and lead them more effectively. 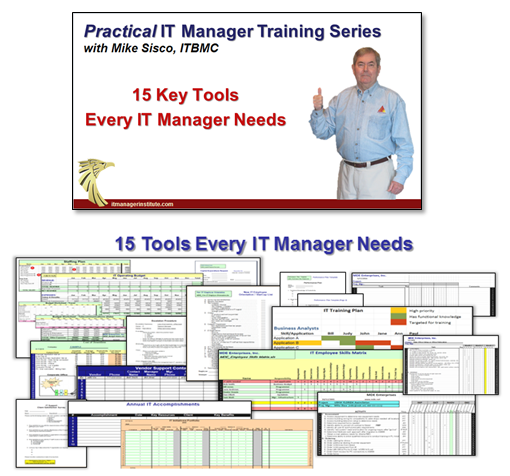 Learn more by viewing an online training module taken from the IT Manager Institute Self Study program, , , go to my next post. This entry was posted in IT Manager Tips and tagged employee personalities, it manager, personality traits, work behavior. Bookmark the permalink.